some of you might have seen a sneek peek of this outfit i posted on facebook and instagram (modejunkie) last saturday. i was having one of those i-dont-have-anything-to-wear days once again so i took a quick peek at le boyf´s closet and then i found this shirt! but i wouldn´t be me if i didn´t add a bit of glitter and bling, no? those boots are amazing! 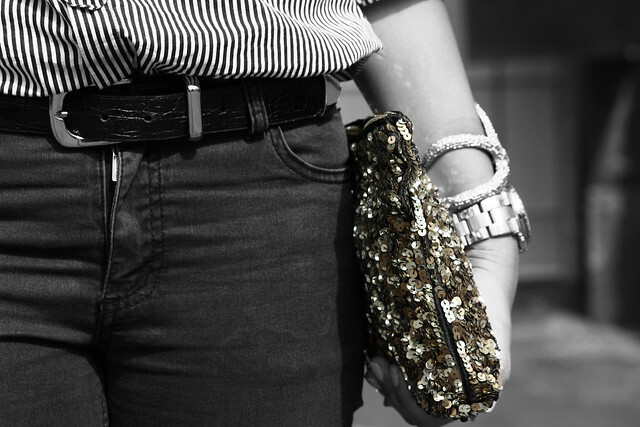 the sequin clutch is super cute too! wow , so elegant ! ich hoffe du hörst nie auf zu bloggen, ich mag nicht viele blogs awr deiner ist nahezu perfekt. your blouse and clutch are stunning! You pull off the men's shirt flawlessly! I love these shoes! .. I like this combination of shirts and shoes! .. bag - beautiful! your outfits always are sooo perfect! I love your shirt! The blouse is really great girl! Love your style! So classy! love the clutch from Zara :) I didn´t get it and so sad about that. I want your shoes & starfish cuff! you look amazing, dear ! and what a great shirt! 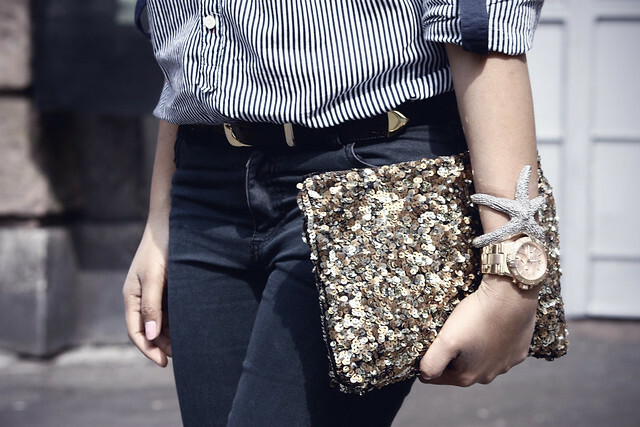 Simple outfit - I love stripes and shiny clutch !